Please Note: The flushing toilets and showers will not be available through May 1st, 2019 due to an ADA project. 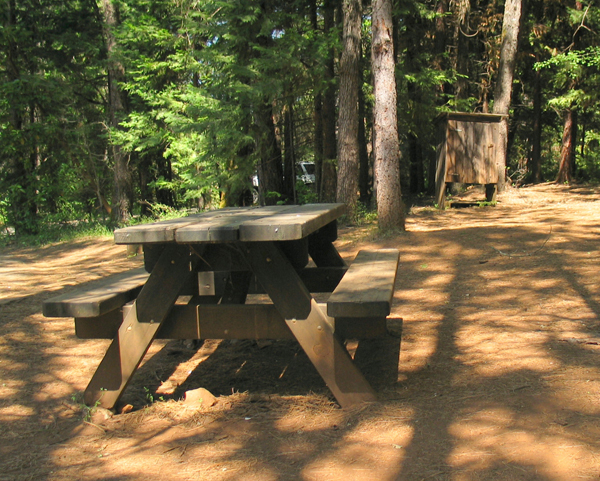 Portable toilets and a handwashing station will be available at Campsite #13 for campers’ use. The park is northeast of Stockton in the lower foothills of the Sierra Nevada mountains. Take State Highway 88 East through Jackson to the town of Pine Grove. Take a left turn on the Pine-Grove-Volcano Road, and about a mile and a half later you will enter the Park. The SECOND turnoff is the main entrance (the first is to the small campground). We now accept reservations through ReserveCalifonia year round. Camping Fees: We accept credit card payments in the Chaw’se Regional Indian Museum 10-4 daily. The senior discount only applies to day use fees and campsite fees. The discount does not apply towards supplementary fees such as extra vehicle fees. Camping fees pay for one vehicle only and all campsites are limited to two vehicles maximum. Trailers (travel, boat, personal watercraft, etc.) count as a vehicle; however, trailers are not required to pay the extra vehicle fee. Extra vehicle fees are required for vehicles driven in to the park, including motorcycles. The maximum limit on all campsites is 27 feet. There is no overflow parking in or near the campground - plan accordingly. The park is open seven days a week from sunrise to sunset. The Chaw'se Regional Indian Museum is open daily 10am to 4pm; admission to the museum is free with your paid parking. The campground is open every day of the year. Check in time is 2pm and check out time is noon. 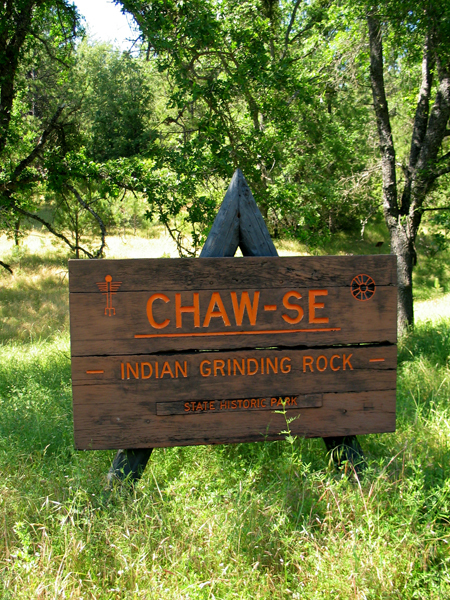 Indian Grinding Rock State Historic Park (IGR) is located in the Sierra Nevada foothills 12 miles east of Jackson, CA. The park nestles in a little valley 2,400 feet above sea level with open meadows and large valley oaks that once provided the Native Americans of this area with an ample supply of acorns. The park was created in 1968 and preserves a great outcropping of marbleized limestone with some 1,185 mortar holes -- the largest collection of bedrock mortars in North America. The park is northeast of Stockton in the lower foothills of the Sierra Nevada mountains. Take State Highway 88 East through Jackson to the town of Pine Grove. Take a left turn on Pine Grove-Volcano Road and approximately 1.5 miles later you will arrive at the park. The SECOND turnoff is the main entrance to the day use area while the first turn off is to the campground. 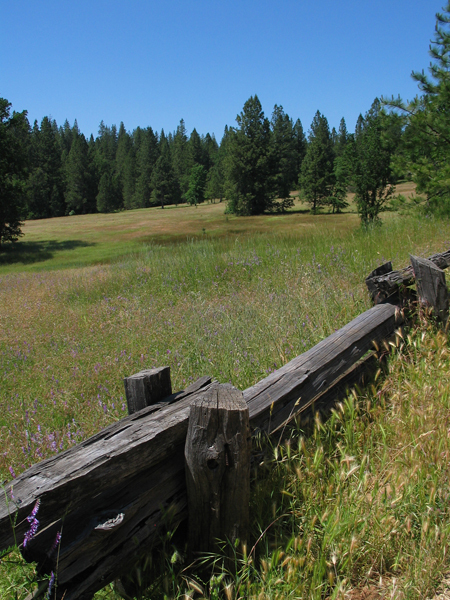 The Sierra foothills experience warm, dry summers and cool, moist winters. Many summer days exceed ninety degrees. Snow falls occasionally during the winter in the Chaw'se area, but most precipitation takes the form of rain. The museum features a variety of exhibits and an outstanding collection of Sierra Nevada Indian artifacts. 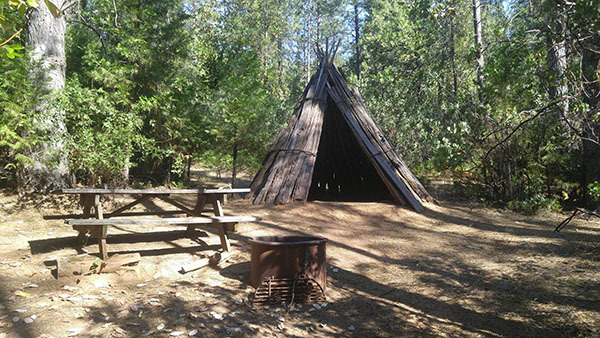 A Miwok village complete with a ceremonial roundhouse has been reconstructed in the middle of the small valley. The Museum has been designed to reflect the architecture of the traditional roundhouse. Exhibited in this two-story museum are outstanding examples of the technology and crafts of the Miwok and other Sierra Nevada native American groups. 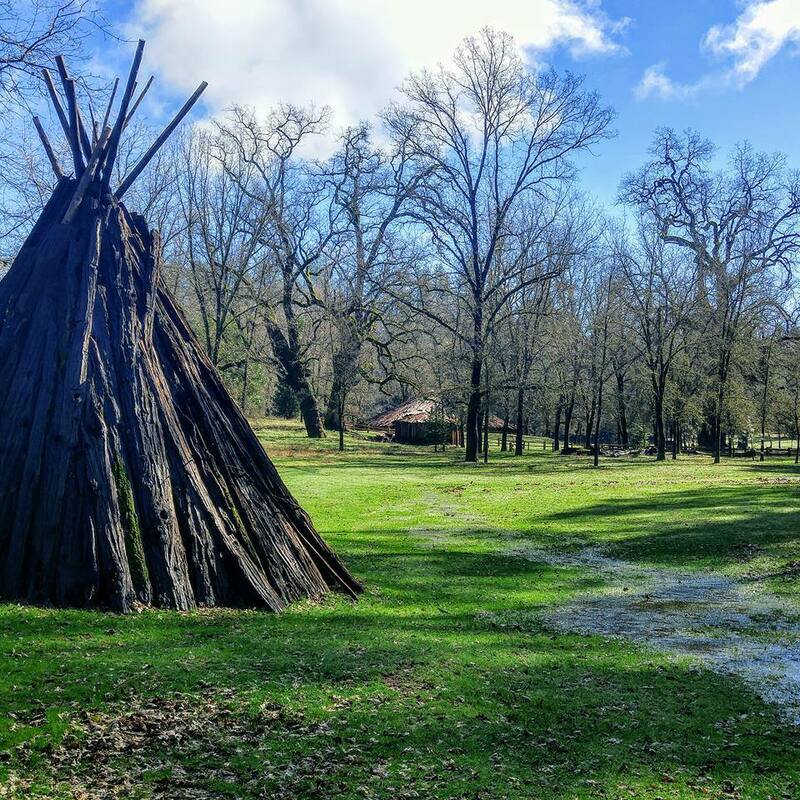 As a regional Indian museum, the collection at Chaw'se includes Northern, Central and Southern Miwok, Maidu, Konkow, Monache, Nisenan, Tubatulabal, Washo, and Foothill Yokuts. Examples of basketry, feather regalia, jewelry, arrowpoints, and other tools are on display. 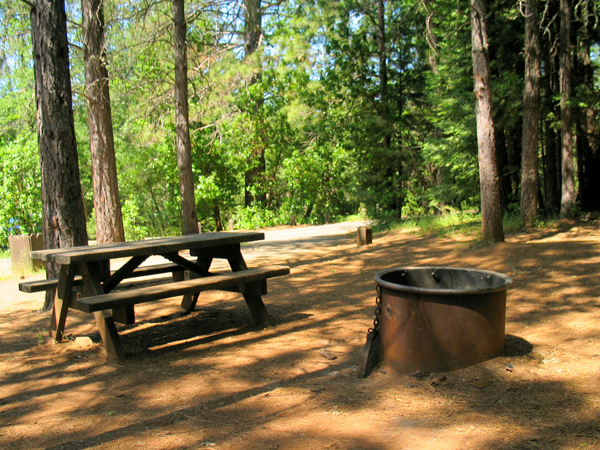 Additionally, we offer camping on the southside of the park with our 22 site campground. Please visit the camping page for more information. Several times a year ceremonies are held in the hun'ge (roundhouse) by local Native Americans. One of those ceremonies, Big Time, brings together Indian families on the weekend following the fourth Friday in September for the annual acorn gathering. Dancing, hand games, singing and storytelling are traditional at this event. Spectators are welcome, but there is no fixed schedule of events. Native American crafts and foods are available. During this event please ask for permission before taking photographs of Native Americans. School group tours are conducted from March 1st through approximately the middle of June and also September 1st through approximately the middle of November. Reservations for School Group Tours must be made in advance. Please call the park to inquire about available dates and times as well as applicable fees. Camping in the U'macha'tam'ma' sites (bark houses to the north) is a unique experience. 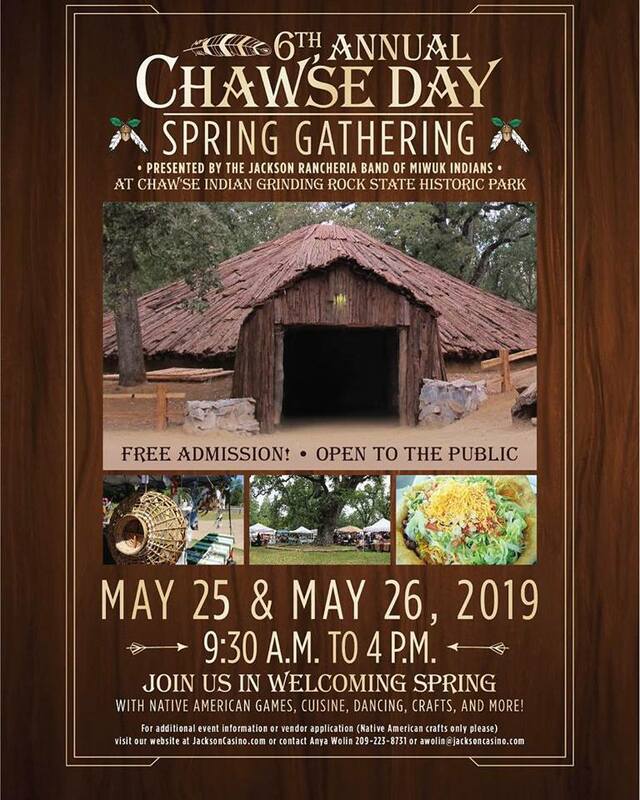 Here you can "get away from it all" and get back in touch with the natural world while simultaneously learning something about Miwok life. Seven bark houses, each one suitable for up to six people, have been constructed in a secluded area of the park. They can be reserved for a group of up to 44 people. The camping is primitive; therefore you must haul water, supplies and equipment 200 yards, or more, from the parking area; however, your time here will be unforgettable as you experience life in a bark house. Reservations can be made up to six months in advance by phone or mail. 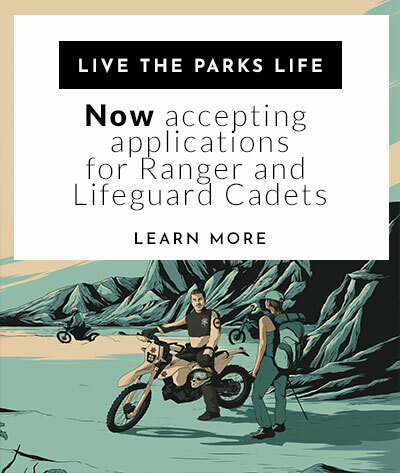 Applications are available by contacting the park or by clicking the link on the right side of this page. 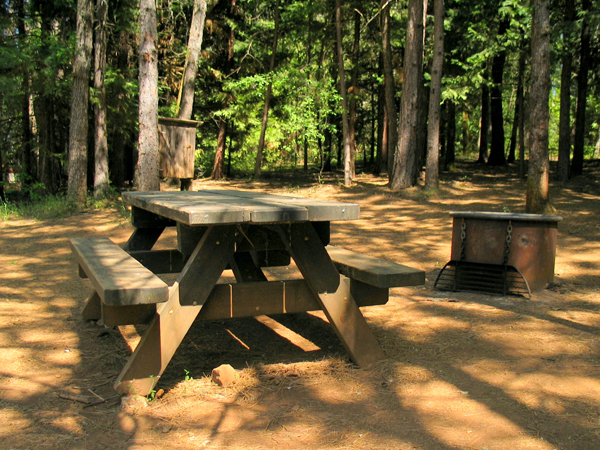 The consumption of alcoholic beverages is prohibited in all areas of the park at all times except the 22 developed family campsites; this prohibition includes the Environmental Living/Group Camp area. The day use area of the park contains a reconstructed Miwok village, which includes the Grinding Rock itself, bark houses, acorn granaries, a game field and the Ceremonial Round House. 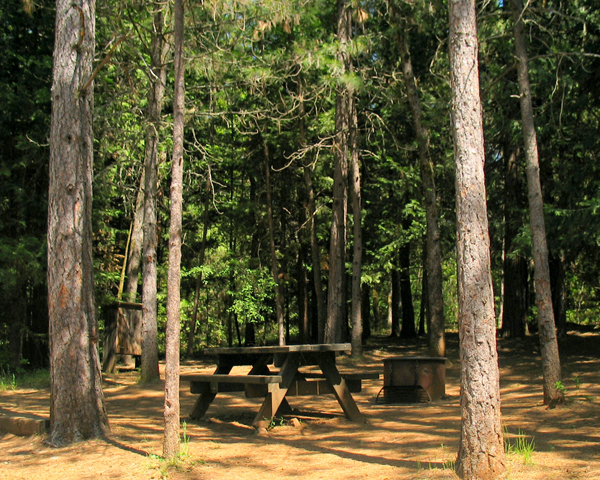 A picnic area with a shade ramada near the grinding rock can accommodate large groups (up to 150 persons). Reservations for the area are not accepted. There is also a small picnic area next to the museum. 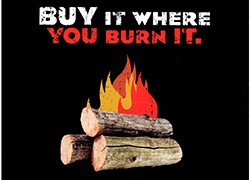 Please do not use campsites for picnicking. The half-mile long South Trail is a self guided nature trail and starts near the roundhouse. The trail guide describes the ethnobotany of the area and identifies some of the plants that were used by the Miwok. A trail guide is available for 50 cents at the start of the South Trail near the round house; deposit money into the brown metal box with the guides.. 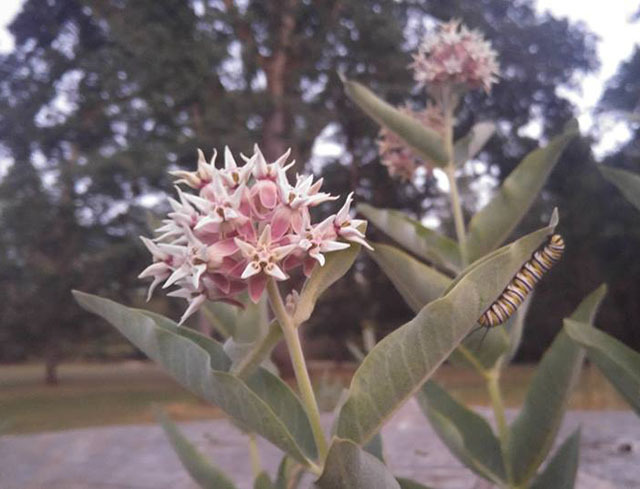 The park is small, but offers many opportunities to observe wildlife. The mixture of oak woodlands and mixed pine forest provides a wide variety of habitats, just as it did in previous centuries when the Miwok lived here in the old way. Birdlife varies depending on the season, but many species are seen year round, including turkey vultures, scrub and Steller's jays, California quail, acorn and hairy woodpeckers, northern flickers, hermit thrushes, wild turkeys (non-native), and California thrashers. In summer, the bright colors of the western tanager, northern oriole, calliope and Anna's hummingbirds can be seen in the woods around the meadow. A bird list is available at the museum. Animal life in and around the park includes deer, fox, gray and California ground squirrels, black-tailed jackrabbits, bobcats, bats, and occasionally a mountain lion or black bear. The legendary coyote - the trickster of Miwok legend - can be heard singing on quiet summer nights.